Bronwyn Bishop and taxpayer money meet again. 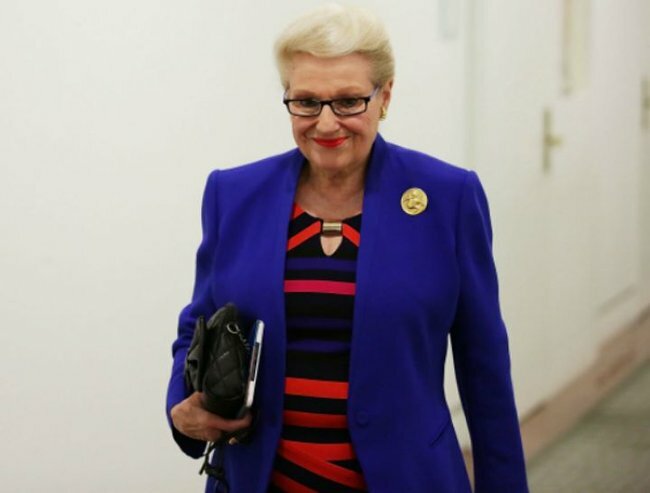 Bronwyn Bishop spent $50,000 in taxpayer funds on South America trip. Former speaker Bronwyn Bishop spent more than $50,000 on a country-hopping South American trip earlier this year. Mrs Bishop resigned as speaker in August following weeks of pressure over her taxpayer-funded expenditure. Documents reveal she travelled to Ecuador, Peru and Argentina between January 10-25 this year. Four other MPs and senators were part of a delegation that travelled to Ecuador and Peru for the Asia Pacific Parliamentary Forum. Mrs Bishop travelled to Argentina without other members of the group. The other four charged taxpayers less than $24,000 each. The latest expenditure report for MPs and senators showed $32,046.28 was spent on airfares and $12,625.35 on accommodation and meals, while the total cost was $52,700.62. Mrs Bishop’s office has been contacted for comment. Earlier this year it was revealed she spent more than $5,000 chartering a helicopter from Melbourne to Geelong in November to attend a Liberal Party fundraiser. The expenditure report, released today, showed Mrs Bishop continued to charter aircraft after the notorious November helicopter trip. On March 6 this year, $4,100 was spent on a return trip to Port Macquarie, where she attended the Hastings Heroine Awards — an event recognising local women leaders. No direct flights are available between Canberra and Port Macquarie, but the journey can take less than three hours flying via Sydney. A six-day trip by Ms Bishop to Vietnam in March and April cost taxpayers $19,218.99, including nearly $13,000 on flights.